Thoughts influence feelings and behaviors. Feelings influence thoughts and behaviors. 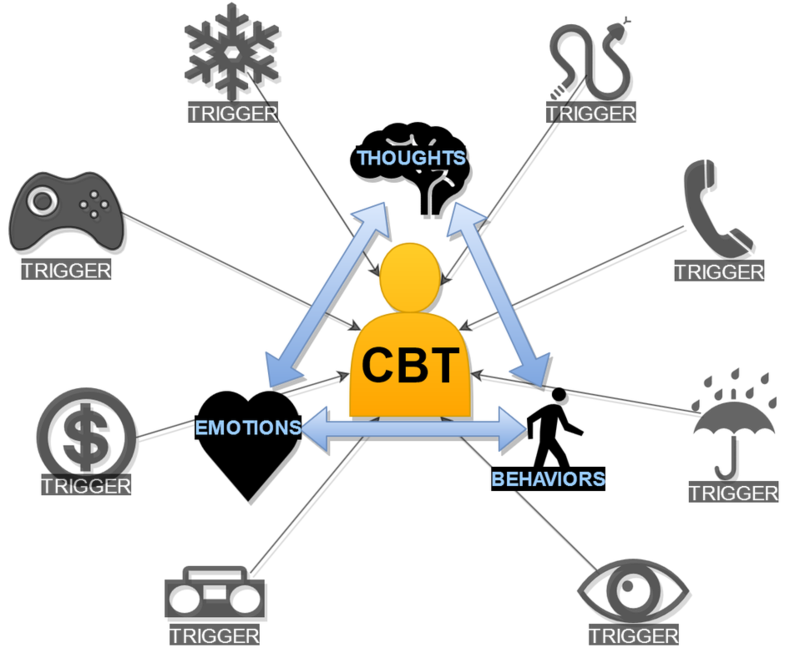 Behaviors influence thoughts and feelings. Triggers are anything that happens in the environment of a person. The temperature, something someone says, a smell, or any other sensory information or physical feeling could be a trigger. Thoughts are those things people say to themselves inside their heads. Thoughts can include ideas, opinions, or statements. Feelings are emotions. Examples include feeling excited, angry, scared, sad, lonely, disgusted, etc. Behaviors include any actions a person can take. Examples include calling a friend, yelling, taking a walk, or getting drunk.